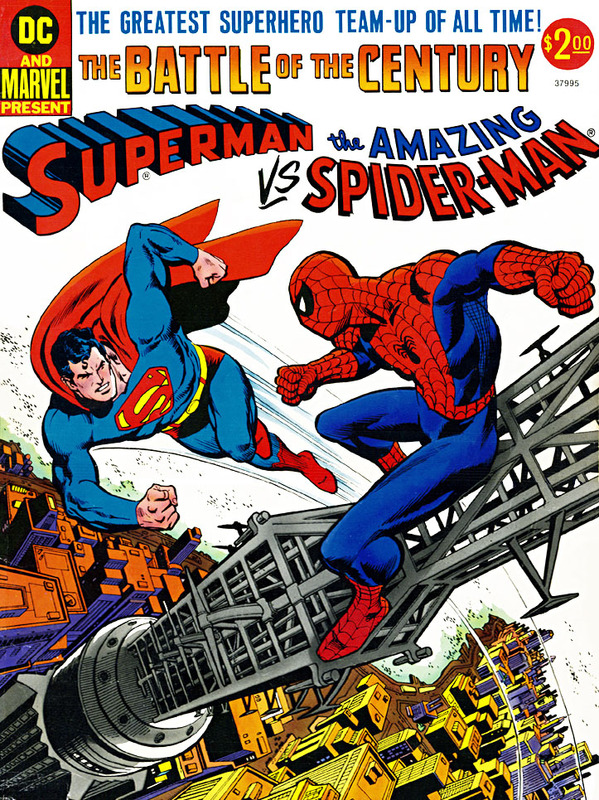 This post was prompted by an incredibly poorly researched piece on Newsarama. 10 Biggest Spider-man Status Quo Changes. 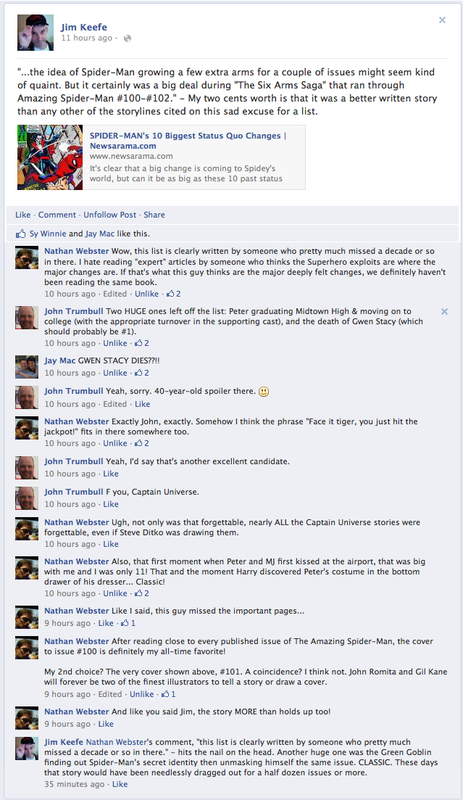 It prompted the following exchange on my Facebook page. Nathan Webster mentions Peter and MJ’s first kiss – and I couldn’t agree more. 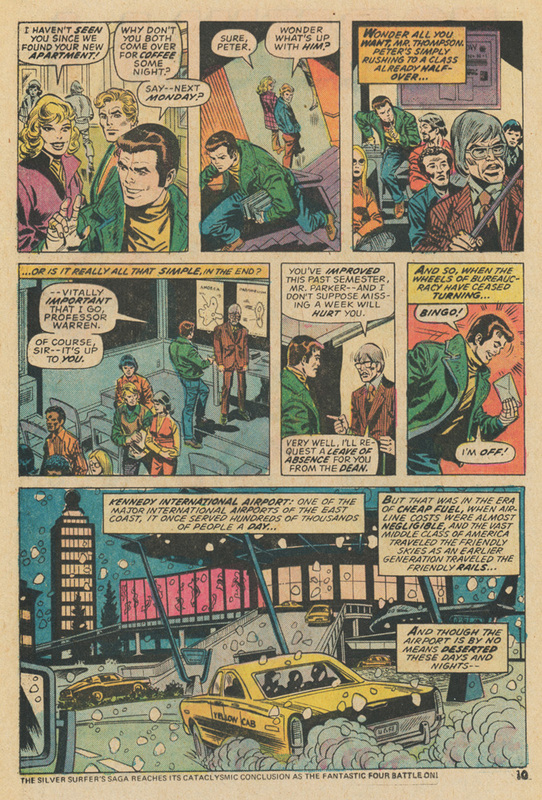 The scene begins on the bottom of page 10 in the Amazing Spider-Man #143 – April 1975. No in-depth analysis here, I’m just going to let the scene speak for itself. 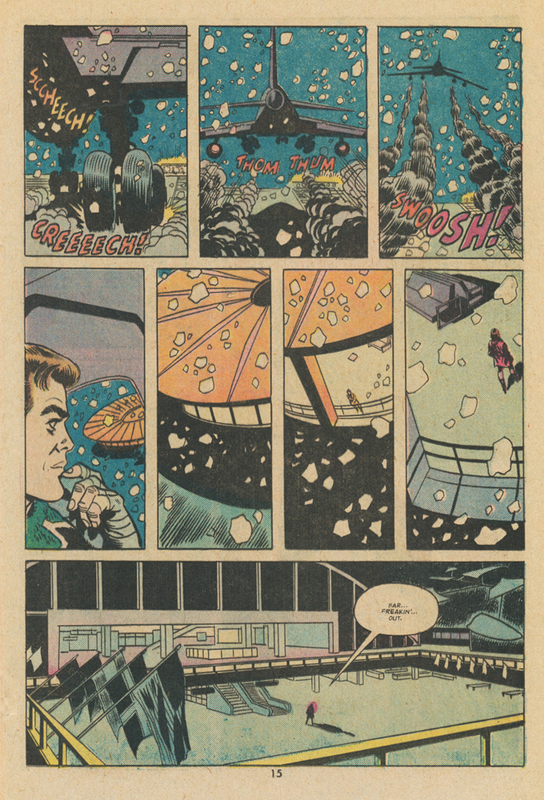 And if you need a reminder on just how good an artist Andru truly was, check out the Superman vs the Amazing Spider-Man treasury edition (the subsequent reprints that were printed regular comic book size DO NOT do it justice). 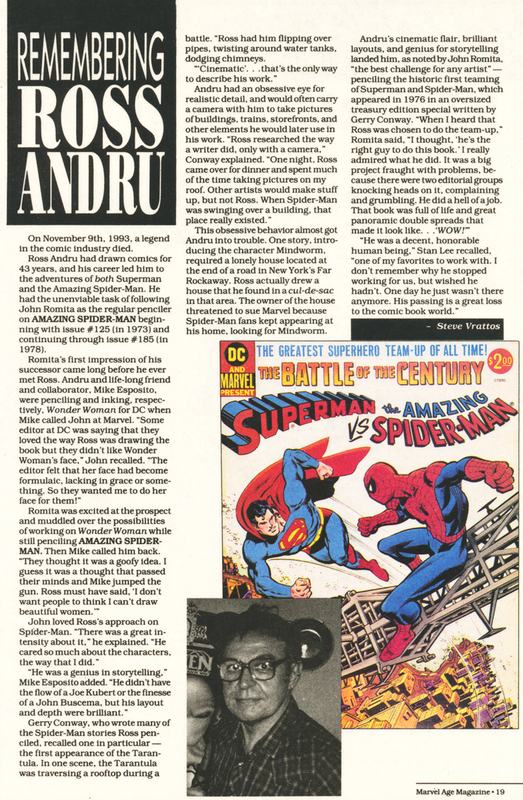 Last but not least, a piece that ran in Marvel Age upon Andru’s death back in 1993. 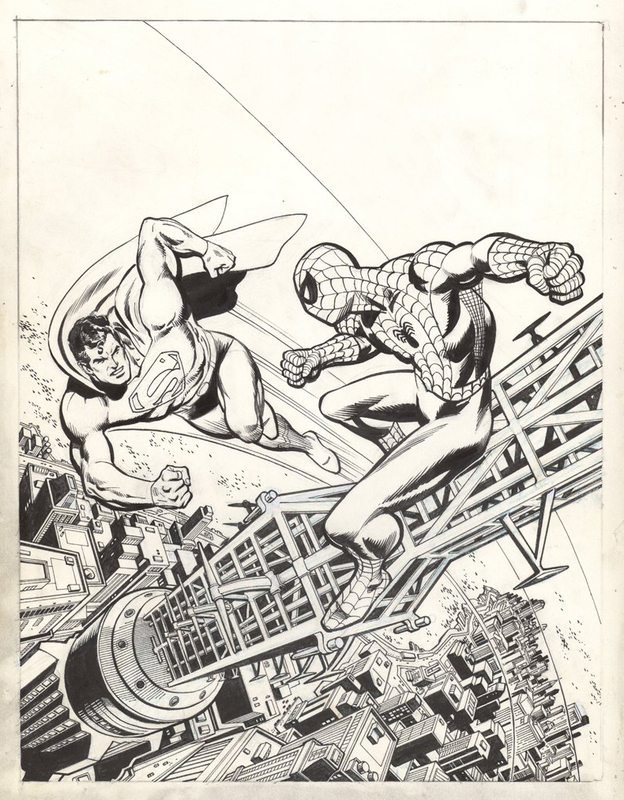 This entry was posted in Artist Spotlight, Ross Andru. Bookmark the permalink.